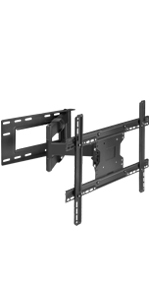 Supports televisions with diagonal sizes from 39” up to 65 inches. 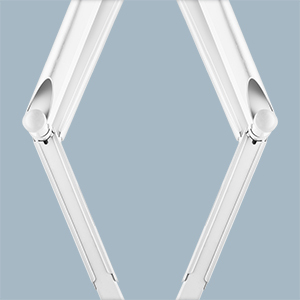 Fits practically all modern screens - LCD, LED, OLED, Ultra HD, plasma, curved and flat panel screens and televisions. 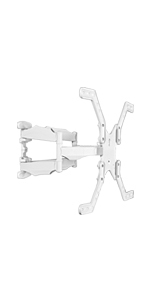 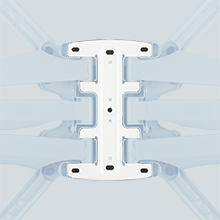 Compatible with VESA mounting patterns from 100 x 100 mm (min) to 600 x 400 mm (max) with wide variety in between. 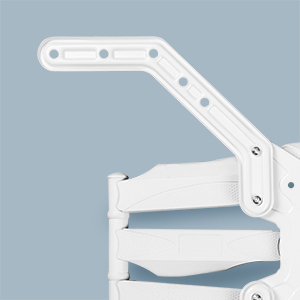 M5L has double arms for maximum safety and flexibility. 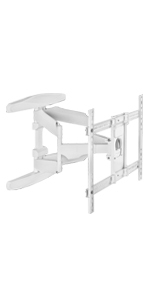 Strong and durable frame is made of SPCC steel and can easily hold TV sets weighting up to 88 lbs (40 kg). 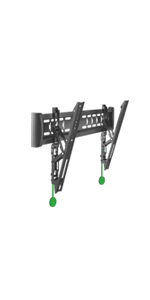 Our TV wall mount has undergone triple load test - it is safe and sound. 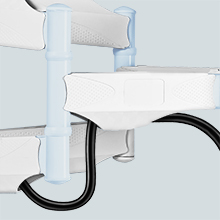 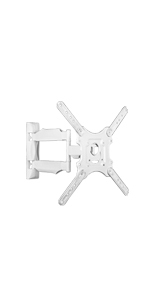 ONKRON TV mount has high-quality white powder coating known for durability. 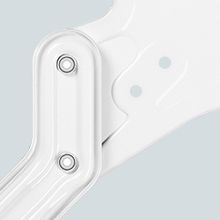 Stylish white colored mount is a great fit for modern and classical interiors. 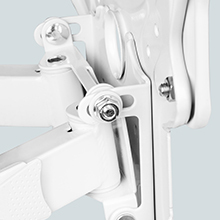 M5L is fully adjustable, you can tilt your TV -2 deg ~ +12 deg, swivel 120 deg and set horizontal screen level from -4 deg to +4 deg. 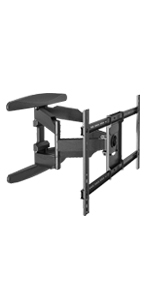 Low profile TV mount can be retracted to 1.7 inches and extended up to 18 inches from the wall.